Ten California microgrid projects recently beat 150 others in a competition for $51.9 million in state grant money. What set them apart? The winners had to meet strict requirements, demonstrating a business case for advanced microgrids that support the state’s energy and greenhouse gas policies. That included proving that projects had commercial viability and could be replicated, said Mike Gravely, research program manager at the California Energy Commission (CEC), which administers the program. What’s more, projects that brought cash to the table scored higher, as did those destined for disadvantaged communities, he said. Labor was considered a less credible contribution. The winners offered $72 million in cost sharing, creating a total pool of $124 million for the projects. Good communication in the proposals was also an important feature, he said. “A lot came down to how well they communicated their plans. Some people had good ideas but had a hard time expressing them,” said Gravely. Most of the winning microgrids included renewables and storage, he added. “We had some creative proposals with good strategy. The key is to demonstrate the value and how they measure that value and how to sell it to future customers,” he said. The winners also included some kind of distributed energy resources (DER), which the grant program defined as energy efficiency, solar photovoltaics, wind, fuel cells, energy storage, vehicle-to-grid programs, or demand response, he said. Find a list of the winning California microgrid projects here. 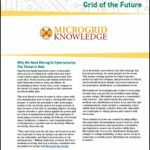 Most of the agreements with the microgrid developers will begin in June or July, and the grant winners will provide updates every six months. This was California’s second major microgrid grant offering. Its large response reflected a heightened interest in the technology since the first solicitation in 2014. While the most recent grant offering drew 160 applications, the first program, a $26.5 million solicitation, attracted only 39 proposals from which seven were selected. 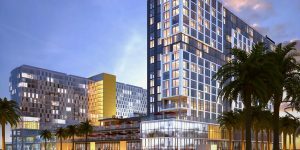 In the latest round of funding, the largest winning project was Willdan’s San Jose Community Microgrid, a $13 million investment, including the portion the applicant will pay in cost-share funds. Willdan also was a winner in a Massachusetts microgrid grant program announced last week. Willdan’s community microgrid on the Worcester Institute of Technology (WIT) campus was among 13 proposals that won money from the Massachusetts Clean Energy Center (MassCEC) for feasibility studies. California offered project funding to three groups. Group 1 proposals had to show standardized high-DER penetration, and be renewable-based, resilient and commercially viable. The money was offered for microgrids on military bases in the state, ports, and for Native American tribes within service territories of investor-owned utilities, according to CEC material. Pala Band of Mission Indians’ Pala Microgrid Project — the top ranked project in Group 1, asked for $5 million, but followed special rules that allowed the project to garner $7 million, Gravely noted. Group 2 projects had to demonstrate standardized high-DER penetration, and renewable-based, resilient and functional microgrids located in disadvantaged communities within investor-owned utility territories. Group 3 winner also had to offer standardized, high-DER penetration, renewable-based, resilient and commercially viable microgrids in investor-owned utility territories, with the caveat that they weren’t Group 1 or 2 projects. They had to provide well-defined added value to the end user, according to the CEC. *Before the awards are finalized, they must be approved by a business meeting vote of the California Energy Commission. 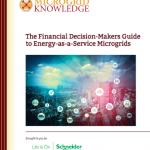 Read more about California microgrid projects by subscribing to the free Microgrid Knowledge newsletter.